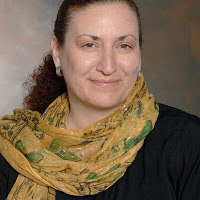 My guest blogger today is Andrea Bell. Please be sure to check out her unique guest post. Guest posts are always welcome, please contact me. The cyber world has taken down the traditional learning method as more and more people are turning towards e-learning. Not only it is easily accessible and easy to navigate, but it also comes without charges, which makes it super cost-effective. Whether you want to train your pet, learn a new language, or teach your kids some technical deal - everything you want to learn is just few clicks away. Considering the never-ending benefits of e-learning, companies around the world are adding corporate training courses for their staff in order to develop efficiently among the clutter of their competitors. But delivering courses to your employees isn’t the main deal. The real problem comes when you fail to motivate your employees to learn from an online course. In this article, we will enlighten you with some tips that can surely help in training your employees through e-learning. Employees get apathetic to learn anything unless they know there is something that will help them as a whole in future. In order to make your employees interested in something, you have to highlight all the benefits they are personally going to get. Emphasize on “what’s in it for you” part while you discuss training program and syllabus. But reminding them about all the perks they are going to get and how the information will be applied throughout the training session is also imperative to keep their interest alive. Other ways through motivate employees is by integrate simulations, e-learning circumstances where they can use their knowledge and role play activities. So that when they are done learning, they know where to rightly use their skills. Employees are less interested into learning something when they know it is only going to profit their organization. According to some recent survey, more than 70% employees think that the chances to grow in their own organization are not available to them. Adopt a communication trend inside your company by sending out emails regarding the learning program, how you and your employees as a team will learn it, and how you will be able to solve problems in future. Specifically highlight the benefits of their skill development in order to keep them hooked. Online learning means you can get access to the course whenever you want, wherever you want. By keeping this in mind, be flexible and let your employees decide when they are going to get their sessions. Your job is to keep an eye on the progress. Therefore, set goals and let your workers decide when and how they are going to do their parts. Flexible environment will definitely get the pressure off of their shoulders and they can learn while traveling, on their tablets and even mobile phones. Even motivated employees could get bored if the training medium is dull and boring course. In order to avoid that, look for a training program that is effective and engaging. Online courses are available these days with multiple formats that include videos, graphics narratives, postcodes, etc. Gaming mechanics in e-learning, also known as gamification is another innovative way introduced in the cyber world to arouse interest and healthy competition among the learners. These various mediums will surely keep up the interest in employees and get the best results out of them. Probably one of the best ways to keep your employees motivated and train them well is by setting up incentive programs or rewards. It is a well-known fact – a person is motivated when he knows there is light down the tunnel. In order to make your employees learn effectively and pass all their assessments with good marks, you should set incentive programs in which they will either earn some money or gain some points at the end of the day. Also, keep them praising for their good work – an extra pat at the back can do wonders at times. I am a Freelance writer by day and sports fan by night. 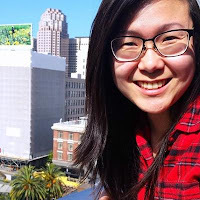 I write about tech education and health related issues (but not at the same time). Live simply, give generously, watch football and a technology lover. Active member of Zeolearn.com community. Many thanks to Andrea Bell. Institutions aim for innovation | Laura Devaney, Director of News, K-12 and Higher Education. 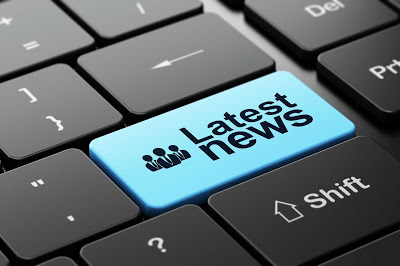 "In this week's news, a grant will help researchers advance the use of linked open data; faculty explore pedagogical theories in adaptive learning; new student assessment is coming; and a university is using virtual reality in recruitment." summarizes Laura Devaney. 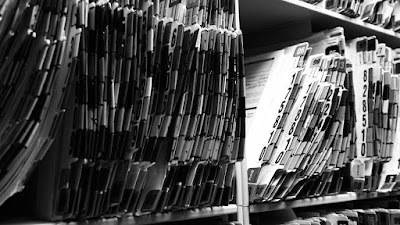 The Andrew W. Mellon Foundation has awarded Stanford a $1.5 million grant to support library initiatives that develop and advance the use of linked open data. Stanford Libraries will coordinate a team representing Columbia, Cornell, Harvard, Library of Congress and Princeton to upgrade the current infrastructure libraries use to create, store, and share bibliographic data. Can faculty get back pedagogical power in adaptive learning? A free learning-design tool tries to make it possible for faculty to incorporate their own course materials in an adaptive learning environment; but are faculty really on-board? A new, open source student assessment focused on developing core skills rather than passing or failing aims to transform the idea of student readiness. The University of Hartford’s Barney School of Business (the Barney School) has launched a virtual reality campaign in an effort to attract accepted students for the class of 2020 to enroll in this upcoming fall semester. "Is a university education in this country really worth £44,000, and how does our system compare to higher education funding elsewhere?" notes Tim Wigmore, contributing writer to the New Statesman. England has long sneered at American universities and their exorbitant fees. It cannot do so any longer: England is now a more expensive country to study than the US, and is easily the most expensive of eight Anglophone countries – the four UK nations, Australia, Canada, New Zealand and the US – analysed in a new Sutton Trust report. English students graduating from last year left university with an average of £44,000 in debt – £15,000 more than Americans studying at for-profit universities across the pond. Why do English students have it so much worse than other students in the UK? There are two answers. The first is the government's decision in 2010 to shift much of the cost of university from the general taxpayer to the beneficiaries: the students themselves. The second answer is devolution. The devolved governments in Northern Ireland, Scotland and Wales have made political choices to differentiate themselves from Westminster by prioritising keeping fees down – even when, as in Scotland, the effect is to benefit middle-class students at the expense of disadvantaged ones. Students in Wales who study in England are eligible for generous grants, meaning they pay less than £4,000 a year rather than up to £9,000. Those studying in Northern Ireland have their fees capped at £3,925. Even England's £9,000 fees are puny set against those at elite American universities. In 2016/17 annual, tuition fees at Harvard are $59,550 and, when all else is accounted for, Harvard reckon each year costs students $88,600. But such exorbitant numbers are not the real story. About 60% of Harvard students receive the Harvard Scholarship: a microcosm of how US students benefit from a culture of graduates giving endowents to their old universities that is still lacking in England. Scholarships and bursaries at universities in the US are far more generous than in other countries. And those who go to public universities within their own state pay far less: those graduating after four years leave with an average debt of only US$27,100 [£19,100]. This is why the average debt of US graduates is now considerably less than in England. But those who berate that even America now has a more benign system for students than England should not be so hasty. The majority of US loans are not income contingent, meaning that low earners who are already struggling still have to pay. Cale Guthrie Weissman, Brooklyn-based reporter, writes about business, technology, leadership reports, "Many companies are leaving out some of the most important statistics when disclosing their diversity numbers." Earlier this month, Microsoft wrote a blog post about its gender pay gap. It shared that its pay gap between men and women is much smaller than the national average, and that overall its non-white employees earn slightly more: Microsoft's U.S. female employees make on average 99.8 cents to every dollar their male counterparts make. For non-white employees the breakdown goes: "African American/black employees are at $1.003; Hispanic/Latino(a) employees are at 99.9 cents; and Asian employees are at $1.006 for every $1 earned by Caucasian employees at the same job title and level, respectively." The company pledged to continue monitoring this data and publicly disclosing it. Over the past few years, leading technology organizations—like Microsoft—have begun releasing internal numbers, which divulge the demographics of the companies as a whole, as well as the diversity breakdown of talent and information about the outreach programs the companies participate in. It’s become a trend, almost—companies admitting that they need to focus on diversity and then releasing statistics to highlight their commitment to the issue. Other companies, including Slack and Pinterest, have hired positions with titles like "Head of Diversity" to more directly combat this issue. And while strides are undoubtedly being made, perhaps a full story isn’t always told. 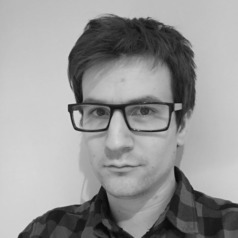 Leigh Honeywell, an engineer at Slack, addressed this in a personal blog post. In it, she responded to Microsoft's post and noted that a few data points were absent from the report: Namely relative promotion velocity and retention data. That is, the company didn't disclose the rate at which minorities receive promotions and how long non-white and female employees last. Without these numbers, writes Honeywell, "it’s only half the story." With companies beginning to post their diversity numbers, it logically leads to the question: What narrative are they trying to tell and are they doing it accurately? In Honeywell’s view, the companies owe their current and future employees a more complete snapshot of the organization. She views these reports as important signals. In an email conversation with Fast Company, Honeywell talked about what these reports really do. First, they "put pressure on the companies to do better." Second, they "enable individuals to make decisions about the environments they want to go work in." It’s a way of indicating to the world—as well as those already on the inside—that the organization is cognizant of its internal makeup and what it should be focusing on. So when companies ignore important equity and diversity stats, it sends another signal. "Big companies do have this data," Honeywell wrote. "I can only assume that it's really, really, really ugly, as otherwise they'd be shouting it from the rooftops." Beyond these statistical flaws, there’s another nuance to this equation. While there are glaring data points like retention and promotion rates that should be disclosed when talking about diversity, others say the issue should also be reframed. McKinsey and Company, for example, tasked a team over the last three years to analyze what sort of external effects occur when executive teams have diverse backgrounds. The findings were clear: Hiring people from different walks of life led to better performance. "THE acronym STEM that stands for science, technology, engineering and mathematics does not sit well with me. It is the latest evolution from merely science, to science and technology (S&T), and science, technology and innovation (STI)." 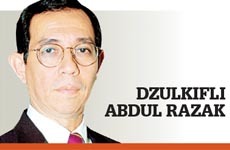 according to Dzulkifli Abdul Razak, honorary professor at the University of Nottingham and Senior Fellow at the Faculty of Leadership and Management, Universiti Sains Islam Malaysia. Each time the acronym changes, it becomes more and more utilitarian in nature with STEM fashioned for greater competitiveness to enhance economic development. It is a far cry from what science once was, when it was understood as “natural philosophy” to decipher nature and natural phenomena. The basic intention was to “explore” (discover) rather than “exploit” (squander) as it turned out to be later. The latter become mainstream without any sense of guilt, devoid of the knowledge of philosophy and history which is the current persuasion at all levels. “Global warming” and “climate change” are the outcomes. Indeed, now you would be hard-pressed to find scientists who are well versed in the philosophy of science or the history of science. Knowledge without the benefit of these two aspects is short of what it is intended to be, analogous to a journey without road maps, always groping for direction. Interestingly, prominent scientists in a recent article, Putting the Ph back into the PhD, admitted that while “science remains humanity’s best hope for solving its most vexing problems”, they opined: “Rather than thinking big, the current system encourages students to think small. 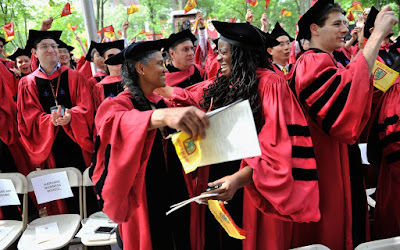 It provides potent incentives for behaviours that are sometimes detrimental to not only scientists but also science and, by extension, to society as a whole.” It means that a “doctoral” degree — like the sciences — void of philosophical thinking is no longer tenable. “We need to address how students learn to be scientists to prevent their indoctrination into the very narrow culture of one particular field,” noted the article. This resonates well with the situation in Malaysia, where science is rushed through as a tool to create material wealth. Words such as “innovation”, “entrepreneurship” and “human capital” have been bandied around and linked to STEM to give it the (false) “scientific” feel. Yet the question, “Why does calculus need ‘limits’?”, drew many blinks. Calculus, in this instance, is dogma, a tendency that was beginning to grip science as a whole, as argued by some. STEM, which is figuratively “rootless” (read: not centrally rooted in philosophy and values), differs greatly from the social sciences and humanities, extracting a grave toll. But nothing can be as a grave as latest findings by the Indonesian Institute of Sciences which challenge the prevailing mindsets of the proponents of STEM. The institute warned that radical theology spread freely on Indonesian “secular university campuses” with “students from science and engineering majors more susceptible to infiltration”. Those who study “hard sciences” (read: STEM) are more at risk compared to those reading “soft sciences” including the social sciences, humanities and philosophy. While the latter is found to be more resistant according to Indonesian Institute of Sciences senior researcher, Anas Saidi, the former is more “easily infiltrated as they don’t think religious understanding should be discussed. It’s something to do with their scientific background that affects how their minds work”. Elizabeth Howell, Space.com Contributo summarizes, "There actually is quite a bit of evidence out there for a multiverse — an infinite number of other universes besides our own." 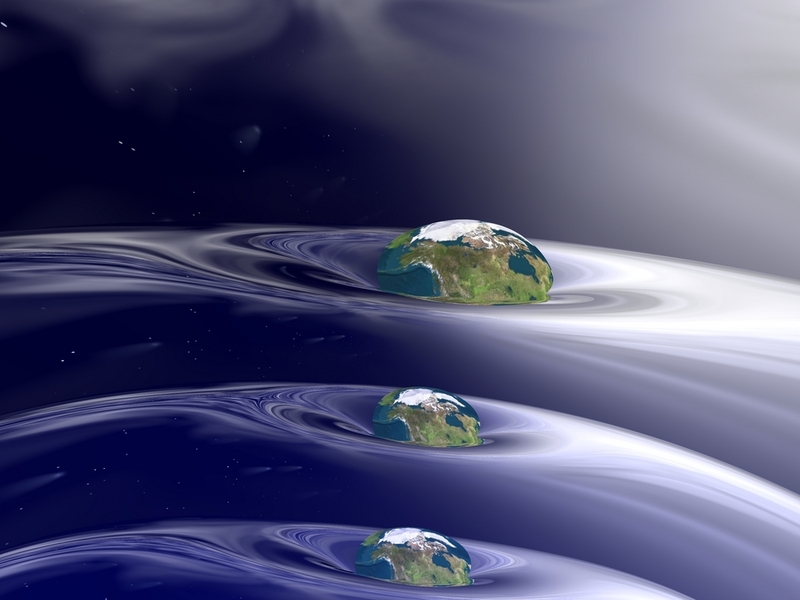 Our universe may live in one bubble that is sitting in a network of bubble universes in space. Around 13.7 billion years ago, simply speaking, everything we know of in the cosmos was an infinitesimal singularity. Then, according to the Big Bang theory, some unknown trigger caused it to expand and inflate in three-dimensional space. As the immense energy of this initial expansion cooled, light began to shine through. Eventually, the small particles began to form into the larger pieces of matter we know today, such as galaxies, stars and planets. "P. Venkataraman develops unique and colorful illustrations of math problems solved" notes Michelle Cometa, Part of RIT's University News team. MATLAB—a math modeling software—is used to design sophisticated structures. Engineering professor Panchapakesan Venkataram found an equally creative use for the popular software: designing intricate and elaborate artwork. He’ll showcase this work for the first time at the Imagine RIT: Innovation and Creativity Festival. 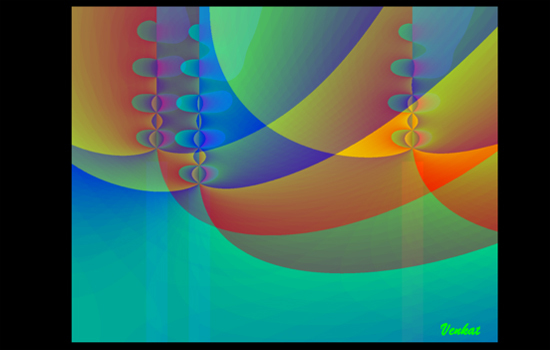 Participants to his interactive exhibit “Wow your curve: Spin it into visual design,” in the Gordon Field House, can create their own colorful illustrations using Bezier curves. MATLAB is a software platform used to solve engineering and scientific problems through computational mathematics. It is capable of 2D and 3D graphical plotting functions. Originally developed by Pierre Bezier in 1968, his curve is one means of illustrating aerodynamic systems such as airplane wings, vehicles and wind turbines, for example, before they are manufactured. 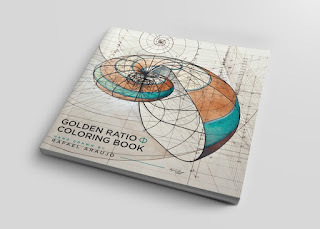 "Artist Uses Math Equation to Hand-Draw Perfect Illustrations. No computer programs necessary." reports Lauren J. Young, science and technology journalist based in New York City. When artist and architect Rafael Araujo needs inspiration to create a new illustration, all he has to do is look out the window of his studio in Caracas, Venezuela. He can instantly spot what he describes as intelligent patterns — spirals and gentle curves in rocks, flower petals, leaves, shells, insect formations, and other objects in nature. “In a similar way a geologist sees patterns in rocks, I see them in nature as a whole,” Araujo tells Inverse. His fascination with these patterns has led to a 40 year career of drawing super precise 3D illustrations that he creates by hand, without any assistance from computers. 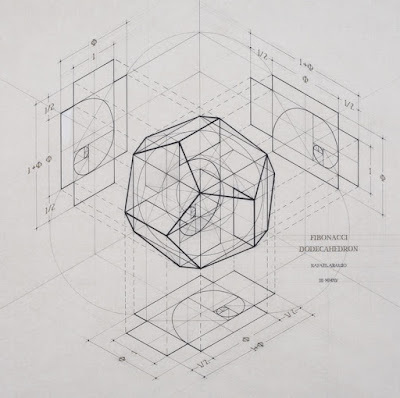 And the illustrations in his “Calculation” series are incredibly detailed and gorgeous — they’ve even been compared to Da Vinci’s sketches. To get such accurate, photo-perfect renderings of nature, he uses the mathematical proportion known as the golden ratio — a proportion that comes up in many natural objects and is responsible for the “intelligent patterns” Araujo comes across. “We tend to call it ‘intelligent,’ but perhaps this is just the way life is, with no need of any adjective at all,” says Araujo, who studied architecture at the Simon Bolivar University in Venezuela. The golden ratio — a pi-like irrational number around 1.6180 — was first given its “golden” title by German mathematician Martin Ohm in 1835. Many believe that the golden ratio exists everywhere. The ratio played a crucial role in Dan Brown’s novel The Da Vinci Code, with the fiction finding it in the human body, the pyramids of Giza, and the Parthenon in Athens. 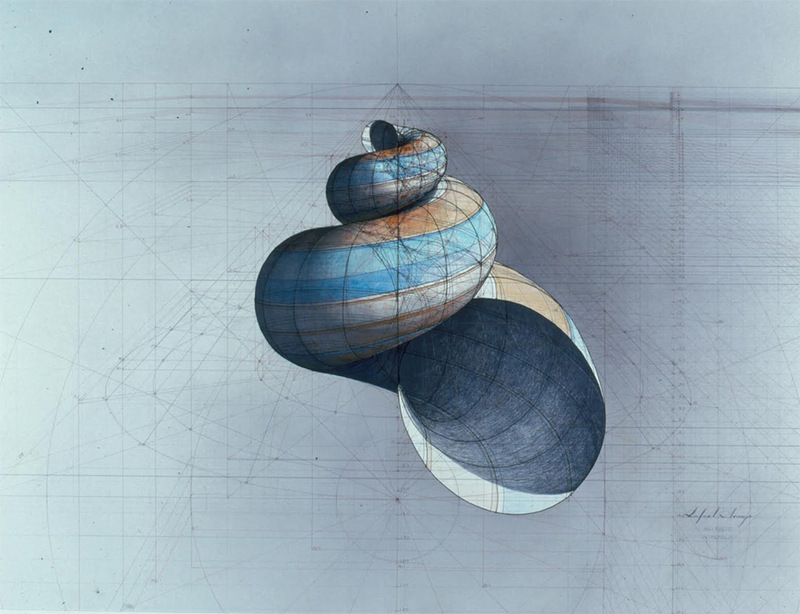 But to Araujo, the real-life, natural objects that follow the golden ratio are beautiful: “The way a living organism is built, for instance, its symmetry, elegance, beauty,” seems to follow the pattern, he says. He first noticed patterns in his small garden he had when he was 15 years old. He was following the growth sequences of a plant’s leaf and saw that they formed spirals. 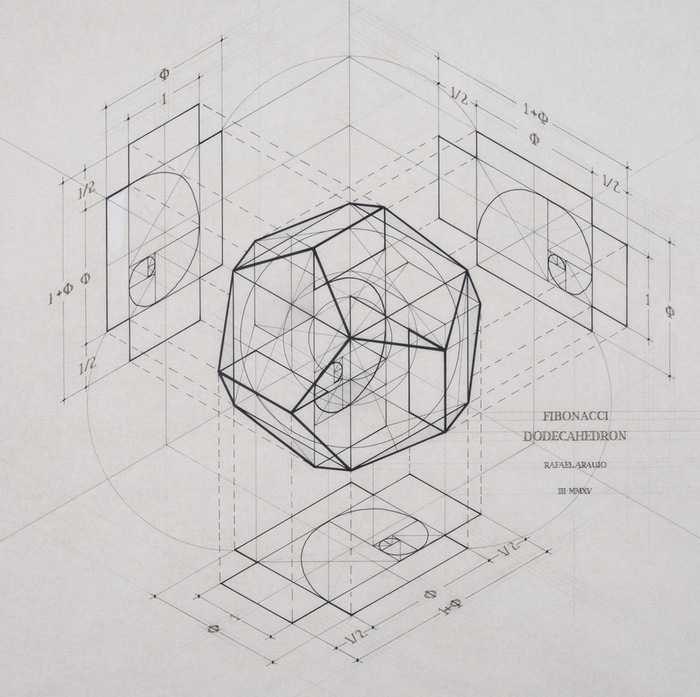 The illustrations in the “Calculation” series have a very distinct style. Araujo chooses to leave in the construction lines to show his process and the mathematical framework of the object. He also uses ink as his medium to draw the entire illustration “out of daring spirit,” he says, and he loves the character it adds as a result. The book is finally ready to go to press. "After more than 20 years of research, songs from the Middle Ages are now being played for the first time in 1000 years." 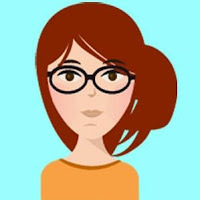 inform Susanna Pilny, science writer for redOrbit. 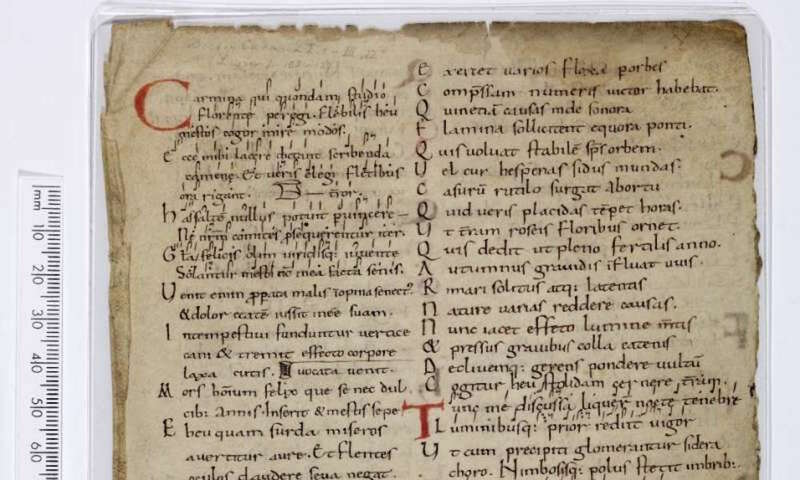 All of this is thanks to Cambridge researcher Sam Barrett, who has been working painstakingly for years to reconstruct the music of a Latin text from the Cambridge Songs—an 11th century manuscript combining classical texts (as in ancient Roman and Greek authors) with a special kind of musical notation known as neumes. As is occasionally done today (like the song to help you remember the three kinds of rock in a cringey way), music was a popular way to memorize texts—such as the Latin text, The Consolation of Philosophy by Roman philosopher Boethius, from the Cambridge Songs. Neumes—symbols that represented music in the Middle Ages—were a way of recording how the songs sounded. Reconstructing this music, then, seems simple—all you should have to do is look at the neumes, right? Sadly, it wasn’t this easy; there were two huge catches that kept the songs from being fully realized. 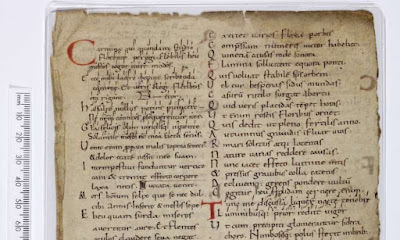 First, unlike something like guitar tab, neumes did not record notes—they were more musical outlines, and medieval musicians relied entirely on memory and traditions to play music. And once this died out in the 12th century, there was no one left to remember how these songs were supposed to sound. The second major problem: The Cambridge Songs manuscript was missing a page. “This particular leaf – ‘accidentally’ removed from Cambridge University Library by a German scholar in the 1840s – is a crucial piece of the jigsaw as far as recovering the songs is concerned,” said Barrett. "As anyone who has visited the London Science Museum’s current exhibition will know, Leonardo da Vinci is famed as an artist, mathematician, inventor, writer … the list goes on." writes Lee Scott, Bath Spa University. 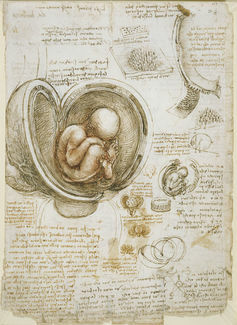 Not just an artist: Leonardo’s studies of the foetus in the womb. He was a figure who did not see disciplines as a chequerboard of independent black and white tiles, but a vibrant palette of colour ready to be combined harmoniously and gracefully. Today, the polymath may seem like a relic of the past. But with an emerging drive towards interdisciplinarity in research and across the tech and creative sectors, the Renaissance man – and woman – is making a comeback. Often cited as the archetypal “Renaissance man”, Leonardo came from an era in which the well-rounded individual, prolific and curious of mind, was highly valued. A comprehensive education was the marker of a gentleman. Universities were seats of broad learning, tasked with preparing future apprentices by encouraging them to interrogate and question many aspects of science, philosophy, theology and the arts. The typical contemporary university is rather different. Targeted learning dominates today, particularly in the UK. Students are forced to specialise earlier and earlier – to be a doctor before you’re 30, you’ll need to know that you want to practice medicine by the time you’re 16. Undergraduate students are trying desperately to align themselves with what seems like a universal drive towards hyper-specialism. A 2015 report by Universities UK, revealed a boom in higher education entrants pursuing specialised subject areas such as business and administration studies, engineering and the biological sciences. In the same year, combined award degree enrolment saw a sharp decline of 54%. This is perhaps to be expected. Incoming students are simply responding to a professional world that is extremely competitive, and so see hyperspecialism as a way of distinguishing themselves from the crowd. But monomath ubiquity has its pitfalls. Within the sciences, experts quickly get out of touch with content beyond their immediate area and become siloed. Within the arts, those who gravitate towards a single practice such as creative writing, acting or photography often sidestep the benefits that multidisciplinarity lends to creativity. Super focused, one-track graduates run the risk of slipping off the career ladder should they wish or need to transition between fields in years to come. Individuals who set out to be proficient at many things are rare. Practitioners who cross the arts/sciences chasm seem few and far between. But this is unlikely to be true for much longer when we consider that some of the fastest growing and most influential fields of research – such as global sustainability or bioinformatics – straddle, distort and even disregard traditional discipline boundaries. Take “serious games”, a category of game design that attempts to solve real world problems. With applications in education, psychology, the military, archiving and healthcare, it is easy to appreciate the value of a serious games developer who can operate fluidly across multiple subject areas. For new economies to emerge, and breakthroughs to be made, we need multi-specialised lateral thinkers who can connect the dots in unexpected ways. We need contemporary Leonardos. We need 21st century polymaths. Tech companies such as Google understand this, and look for ways to expose their employees to methods of thinking that fall outside their immediate experience. Talks at Google was launched precisely for this reason. The programme invites fantasy writers, top chefs, fringe comedians, and popular musicians into Google HQ to talk about their art. Last year saw Micheal Moore critiquing US international strategy in “Where to Invade Next”, cast members of the West End’s The Illusionist revealing insights into the world of magic, and Magnus Nilsson sharing the nuances of Nordic food culture. 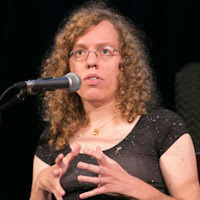 Talks at Google serves as a forum for internal enrichment, with an expectation that encountering the myriad ways in which the minds of its presenters are wired will jolt its employees into thinking outside of the box. What is the relationship between intelligence and wealth? originally appeared on Quora - the knowledge sharing network where compelling questions are answered by people with unique insights. Answer by Auren Hoffman, former LiveRamp CEO, Chairman of Siftery, started and sold five companies, on Quora. The correlation between IQ and wealth has been really high in the last one hundred years. But I suspect it will much less predictive in the next one hundred years. In the past one hundred years, the best predictor of success has been tests like the S.A.T. (which tests for systems thinkers). Systems thinking has been the way to get ahead for people in the last one hundred years. Even people who were not born into wealth and connection have been able to do extraordinarily well being really good systems thinkers. But in the next one hundred years, we will see more and more competition from computers on core systems thinking tasks. So while systems thinking will be likely even more important in the next one hundred years, it will be mostly done by machines, not humans. Computers will likely be able to achieve perfect S.A.T. scores in the future. As computers get better and better at systems thinking, we will likely see I.Q. (which is usually measured in terms of systems thinking) becoming less valuable. Having some level of competency of systems thinking will still be really important for humans, but the prize of any extra ten points on the S.A.T.s will not nearly be as great as they have been in the past. To get into Harvard today, one likely needs at least a 1500 on the S.A.T. To get into the top school in twenty years (assuming that school still wants to be relevant), you probably will need a 1200. Other “intelligences” will be increasingly important. Being able to understand a complex topic really deeply will likely always be really important. Even within college, we will see complex fields be more valuable for the world of the future. Philosophy is like a very under-valued major. I don’t necessarily think that Computer Science is going to be more monetizable than Philosophy in the future just because it was in the past. "I hate to admit it, but I used to be that parent. You know the one who proclaimed her kids would never watch TV or play on a computer, and instead spend endless hours playing outside in any weather. (Torrential rainstorm? Builds character!) Well as you can imagine, when my son grew old enough to express his own desires, it became pretty clear he was a TV loving, video game obsessed little guy like so many of our kids." continues Cool Mom Tech. Not that I blame them, entirely. Games can be awesome! In effort not to be a total buzzkill mom, I softened my no screen time stance. He’s allowed a very short amount of video game time on the weekends with some basic rules about not interacting with strangers or revealing personal info. Now he’s happy. I’m happy (enough). Everybody wins. 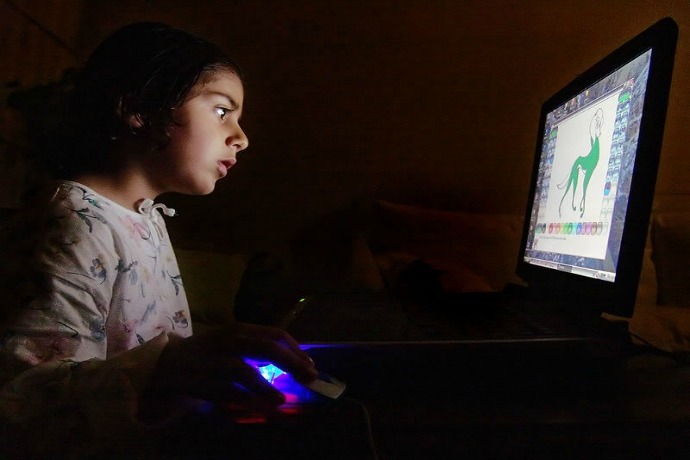 I recently read the new study from the Center for Cyber Safety and Education, and I realized just talking to our son about the basics of cyber safety isn’t enough. *40% of kids surveyed said they connected with or chatted online with a stranger. *21% took the relationship a step further and spoke to a stranger by phone. *15% tried to meet with a stranger they first encountered online. *11% actually met a stranger in their home, the stranger’s home, a park, mall or restaurant — often accompanied by a friend. *30% reported texting a stranger from their phone. *53% revealed their phone numbers to a stranger. *6% revealed their home addresses. I mean, a child under 14 chatting with a stranger on the phone they met online? More than half giving their phone number away to begin with? Wow. I’m sure that surprises lots of us. Since my son is just shy of being the same age as the kids in this study, I couldn’t ignore some of these statistics or assume that my kid won’t be among those making some questionable choices. It also made me realize I’m probably not doing nearly enough to keep my own son as safe as possible online. If you’re concerned too, your best defense is a good offense. Trivantis Releases New Accessibility eBook.Take a closer look at the new e- book below. So, accessibility is based on a set of guidelines. 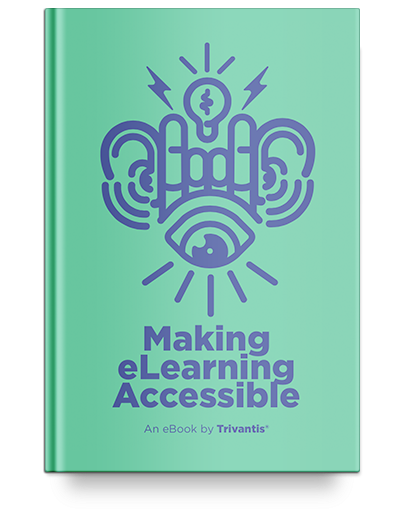 When you follow the guidelines correctly, you create...you guessed it—accessible eLearning. And everyone loves accessible eLearning! 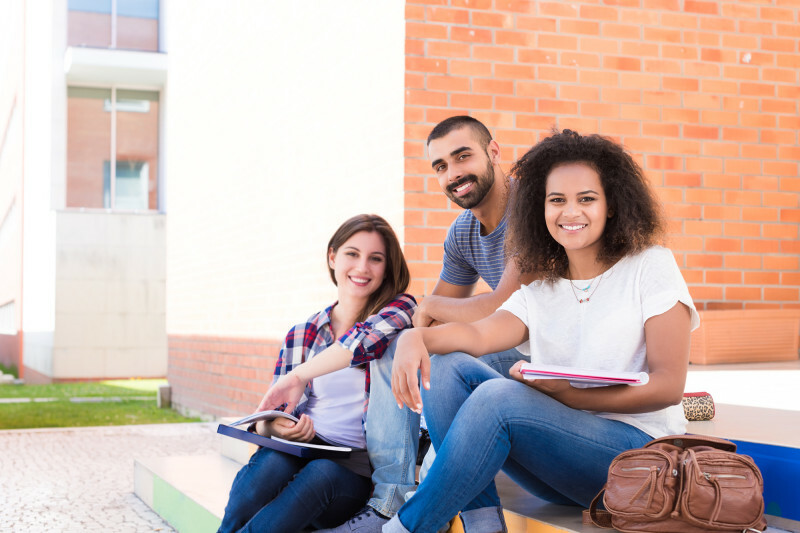 "Offering nation’s first competency-based MS in Early Childhood Studies program using direct assessment model Walden University is introducing Tempo Learning, a self-paced educational experience for students who want to earn their degree on their terms." inform eCampus News. The initial program offered through Tempo Learning is the new competency-based MS in Early Childhood Studies with a specialization in Administration, Management and Leadership. University representatives say it is the nation’s first online competency-based master’s program in early childhood using a direct assessment model. The program is approved by The Higher Learning Commission (HLC). Through Tempo Learning at Walden, students can progress at their own pace by applying their existing knowledge and prior experience while focusing on the skills they need to meet the demands of the workforce. Tempo Learning is composed of competencies and rigorous assessments that have been designed by faculty and validated by employers—creating a direct link between education and the workplace.